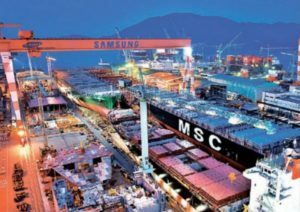 South Korean government consider merger between the two large shipbuilding companies in the country – Samsung Heavy Industries and Daewoo Shipbuilding and Marine Engineering. The both companies are currently having sufficient liquidity problems and suffer from reduced number of orders in beginning of 2016. The government is pushing for restructuring of the faltering shipbuilding industry, which should decrease the debt problems of the large companies and make them profitable. 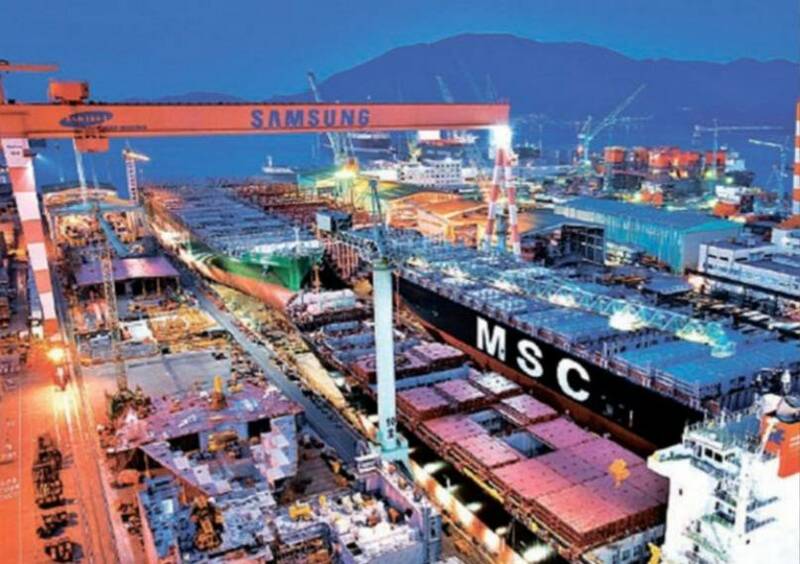 The government consider the merge Samsung Heavy Industries and Daewoo Shipbuilding and Marine Engineering, creating the world’s largest shipbuilder with strong market share and more flexible management. The South Korea’s former strategy and finance minister Yoon Jeung-Hyun has suggested that Big Three shipbuilders (Hyundai Heavy Industries, Daewoo Shipbuilding & Marine Engineering and Samsung Heavy Industries) should consider merging, as the number of country shipbuilders should be down to one or two. “We cannot help but take action if the restructuring process in shipping companies fails to go smoothly”, said the South Korean Finance minister, Yoo Il-ho. The all major South Korean shipbuilders are suffering finance and liquidity problems, as Hyundai Heavy Industries missed a key bond repayment 10 days ago and is weighed down by debts in the region of 5 billion USD. The problems for Samsung Heavy Industries and Daewoo Shipbuilding and Marine Engineering are smaller, but also their cash flows are volatilizing. Moreover, Samsung Heavy Industries faces more chain cancellations in multibillion-dollar offshore projects from overseas oil producers. Samsung Heavy Industries posted 1 billion USD finance loss in 2015, while the finance statement of Daewoo Shipbuilding and Marine Engineering is even worse with loss of 1.7 billion USD.